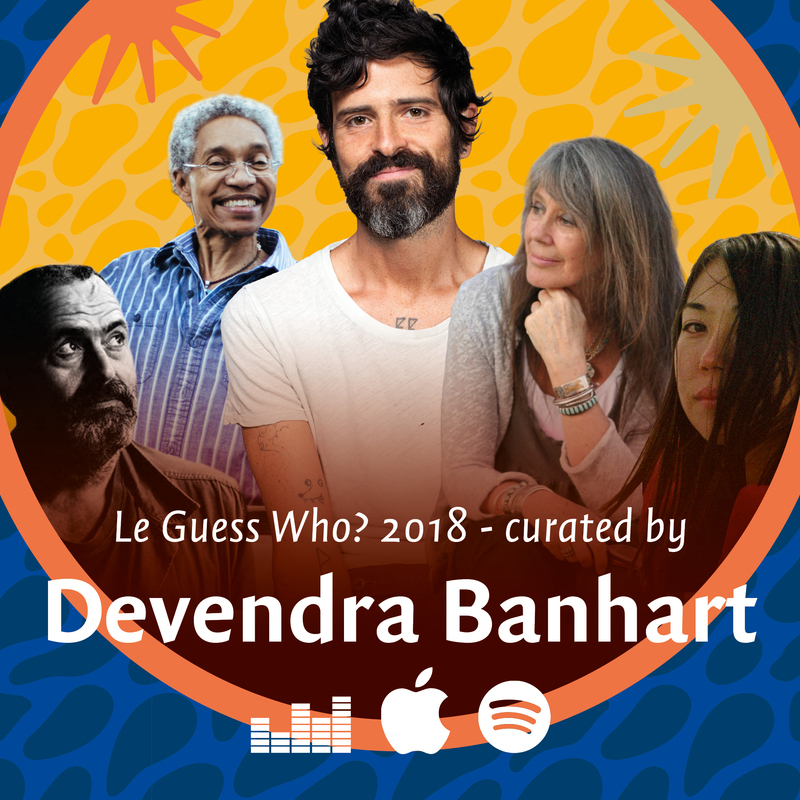 Eclectic songwriter Devendra Banhart hosts his very own program at Le Guess Who?, inviting a selection of (surprising) inspirations and interests. Now, he has put together a personal playlist with some of his favorite tracks of each artist he has invited for the festival. Listen to the playlist below via Spotify. You can also also stream it via Deezer or Apple Music. for this years Le Guess Who? Festival. I listen to everyone on this mix EVERYDAY! for they have made joy sweeter and suffering less bitter. of music so gentle AND wild! to leave the deeper discovery of their work to you! Devendra Banhart's curated program at Le Guess Who? 2018 features Vashti Bunyan, Shintaro Sakamoto, DRINKS, Rodrigo Amarante, Beverly Glenn-Copeland, Jessica Pratt, Gigi Masin, Sun Foot, Joan Of Arc, Shannon Lay, Chihei Hatakeyama, SASAMI, Takuro Kikuchi, Katey Red and Roger Eno. Devendra Banhart himself will perform as well at the festival.